So, it has come to the end of the year and some of us are still madly dashing around to find that perfect present for our loved ones and friends. Like with all good gift guides, there will always be those who have everything (a.k.a very difficult to buy for) and those in between. I have two children who are both in primary school so will be listing also some gadgets/educational toys for that age bracket as well. So, my 8 year old girl is really into coding and building things such as Lego. She has inherited the engineering gene from her Dad and the ICT from her Mum! 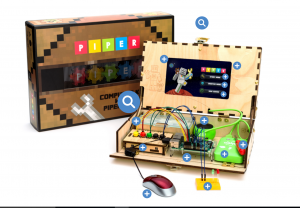 If you have primary age kids who like learning new things, here are my top three suggestions. Makey Makey: Have you ever seen a bananas being played like a piano? Well with Makey Maker you can! I would recommend the Deluxe kit as you can get extra wires and clips to create more fun! The deluxe kit can range in price depending where you buy it online. It’s roughly about $80.00 depending on which online store you buy it from (and then take into account postage). Sphero: Now, if you have kids who love challenges, then a Sphero is definitely worth looking at. 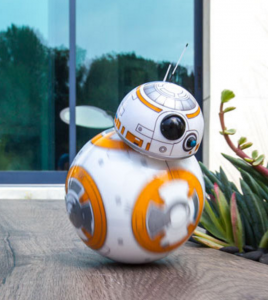 A sphero is a round ‘connected’ ball (or you can get a Star Wars Droid) that you can program to do tricks (via apps). There are plenty of apps that it can also be connected up to as well as accessories such as a Terrain Ramp (for the Sphero to do tricks on). Price point: You are looking at between $199-220 dollars for a Sphero or for ‘ Ollie’ at about $159. There are a few different Sphero’s that are available. Lots of places now sell this product and I have included a link where you are able to look at the various accessories that go with this! Tile Slim Bluetooth Tracker: Now if you are like anyone in our family (who have to ask every time they leave the house where their wallet is), this product is perfect! There are several types of ‘Tile’ products including ones for your keyring (to help find your keys) and also to place in your wallet or handbag. It is basically a #finder for your most used items such as wallet and keys. It’s also great for luggage when you are travelling. Logitech Harmony Elite: We have a less #tech version of this, but it still makes more sense than having five remotes for your entertainment at home (they who control the remote, rule the house!). Definitely, something for the person in your life who loves #tech and who has everything! Surface Pro 4: As you know this year I was appointed as a Microsoft SMB Ambassador. Currently I am writing this blog post sitting with the Surface on my lap. It’s been great to get out at conferences, events and even just blogging about this journey. So as a small thank you to my friends, family and social media followers…I have been able to secure a discount code from Microsoft for a 15% discount valid only on Surface device and Surface first and third party accessories. Voucher valid from AEDT 12:00am on 28 July 2016 to AEDT 11:59pm on 31 December 2017. Redeemable at Microsoft Australia Pitt St, Sydney Store or Microsoft Store Online in Australia only. If redeeming in store, offer must be presented when making purchase. Voucher code valid for one purchase per customer only, any unused value will be forfeited. Not valid on prior orders or purchases; cannot be transferred or otherwise redeemed for cash or coupon code(s). Not combinable with other sales, discount offers or bundle offers. Refunds will take into account the discount. Void where prohibited or restricted by law. Microsoft reserves the right to modify or discontinue offers at any time. Offer only valid only on Surface device and Surface first and third party accessories. Stay tuned for exciting things coming for Tech Coach HQ in 2017!